Mount St. Helens before the May 18, 1980 eruption. View from the northeast of Spirit Lake. 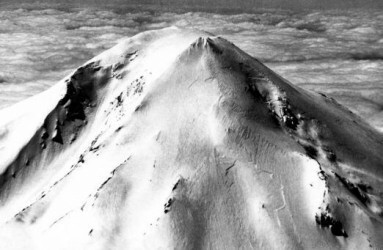 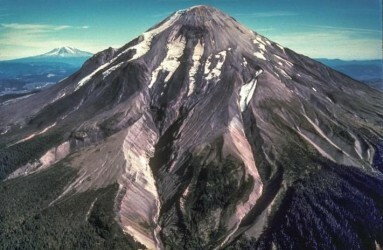 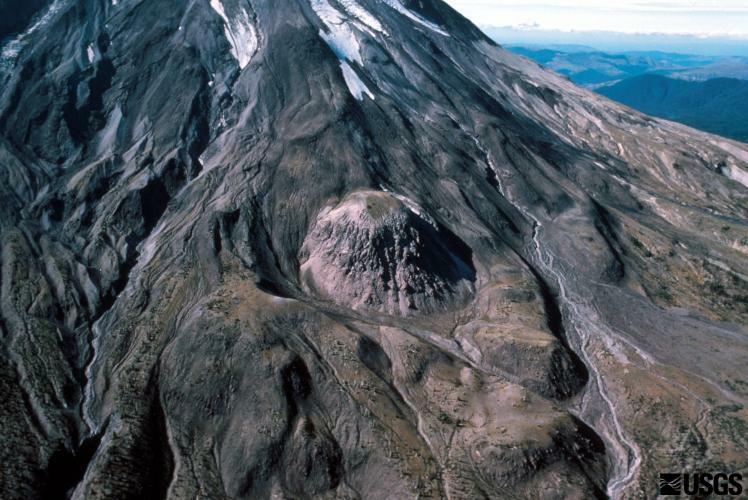 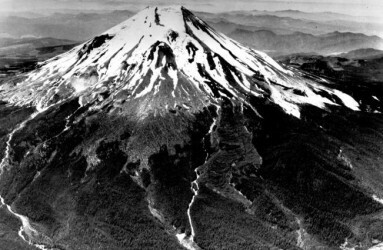 Mount St. Helens, aerial photograph taken from the northeast. 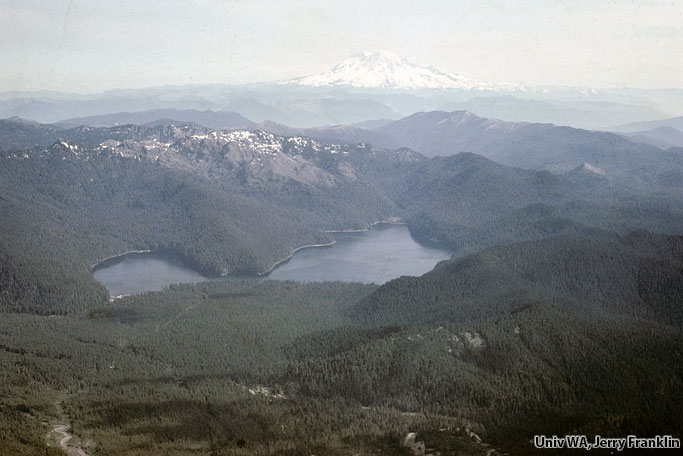 September 1964. 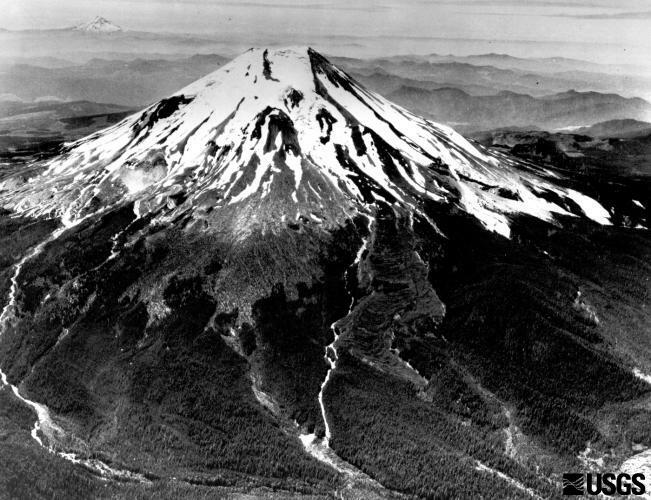 East Dome erupted during Sugar Bowl time (C.E. 850-900) east flank view of Mount St. Helens. Kalama age (erupted about 1535) andesite flows surround dome. 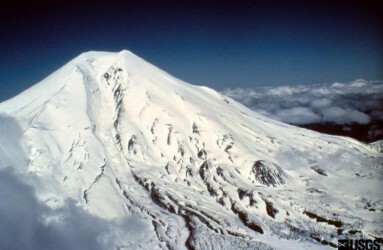 Shoestring Glacier on Mount St. Helens, viewed from the southeast. 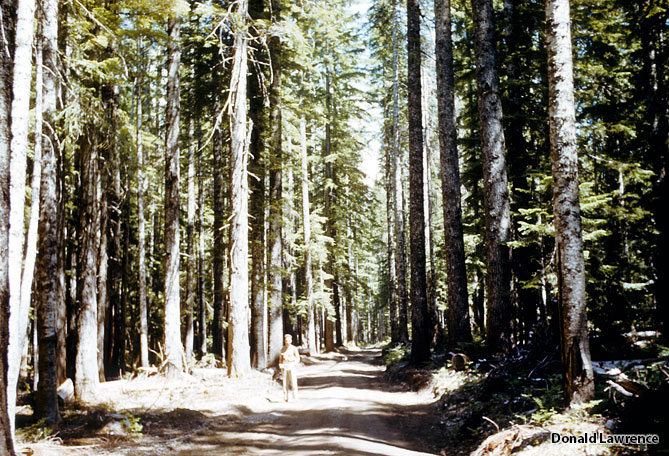 Photo from May, 1965. 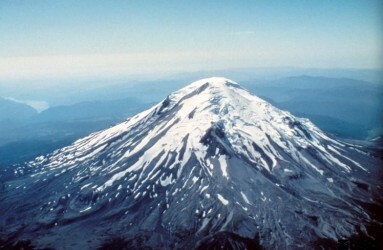 Summit region (Kalama age–1479 to 1720 C.E.) 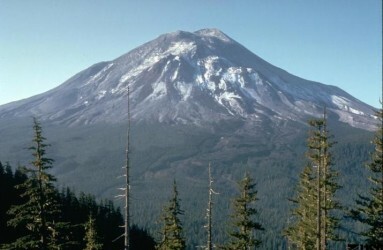 of Mount St. Helens looking northeast. 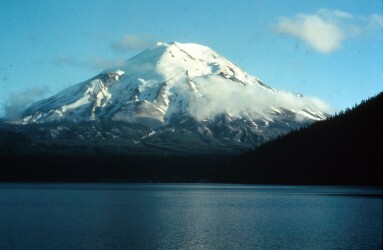 Spirit Lake and Mount Adams in background. 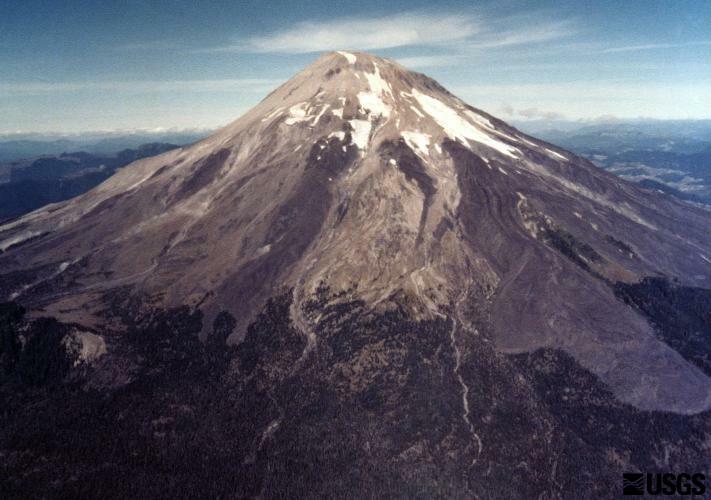 September 28, 1979. Kalama age, dark andesite flows include a lava-flow complex on the southeast flank of Mount St. Helens and single flows on the southwest flank. 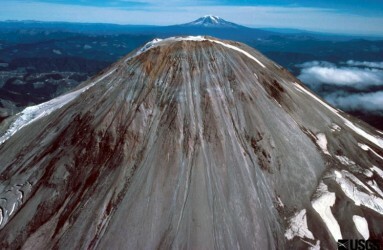 Slopes above lava flows are dacite of the summit dome. 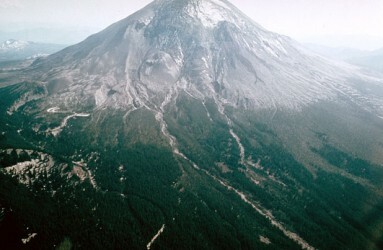 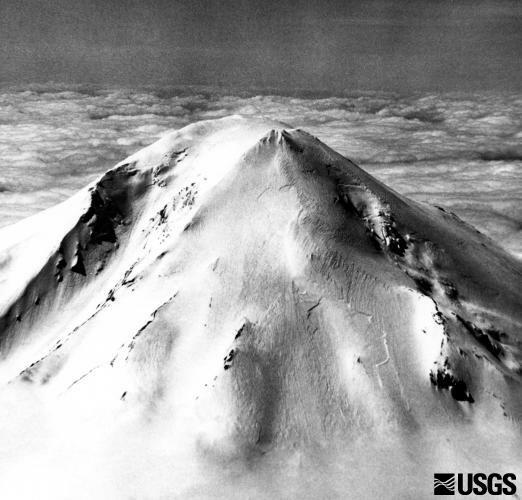 Upper cone of Mount St. Helens before the May 18, 1980 eruption; no unusual fractures despite four previous days of ongoing seismic activity. 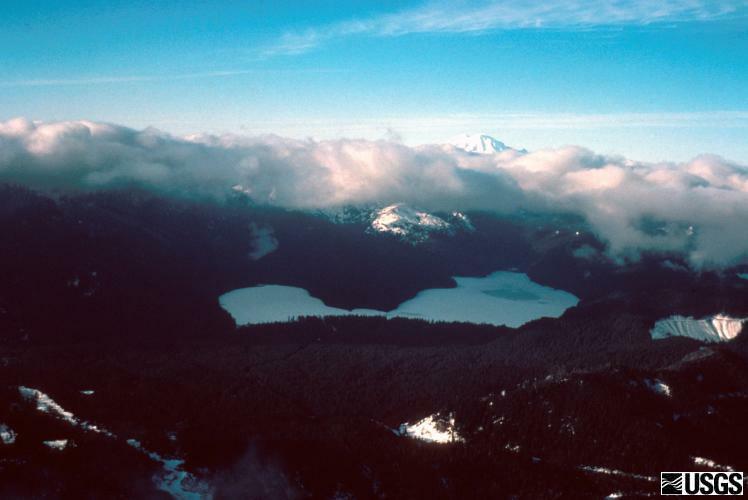 Aerial view looking west-southwest. 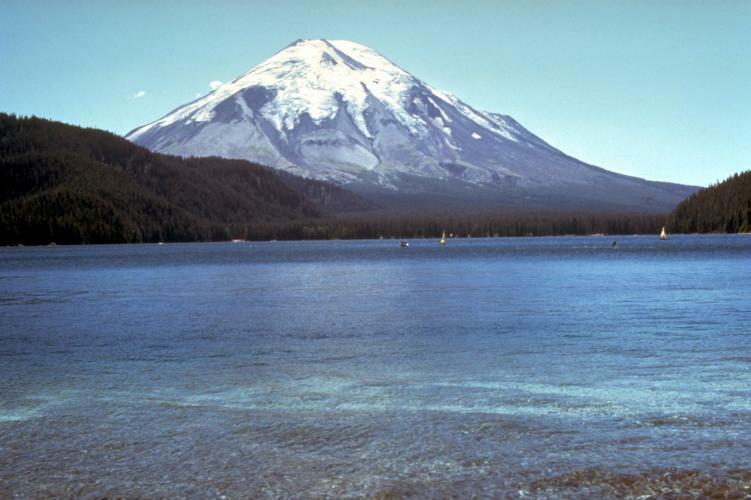 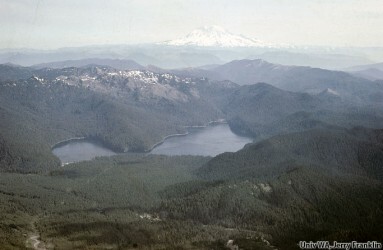 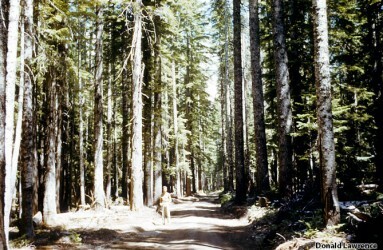 Spirit Lake before the big May 18, 1980, eruption of Mount St. Helenes. 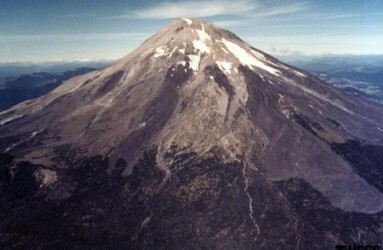 View from the south. 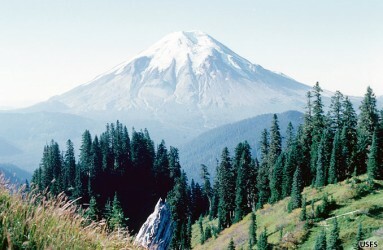 Mount Rainier, is in the distance. 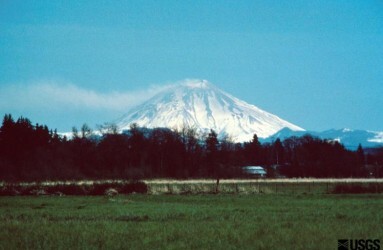 ming Mount St. Helens as seen from Interstate 5, at Chehelis, Washington. 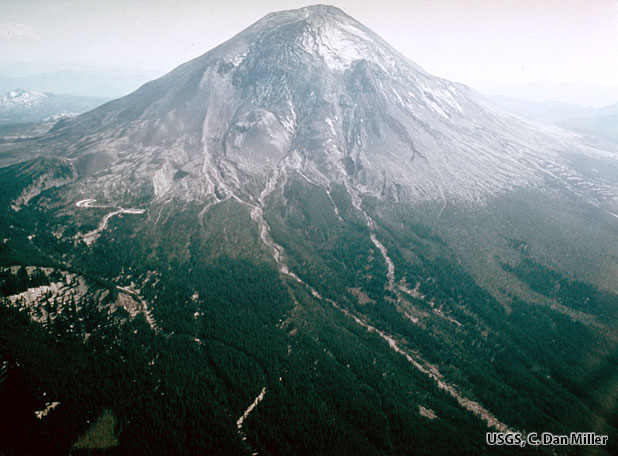 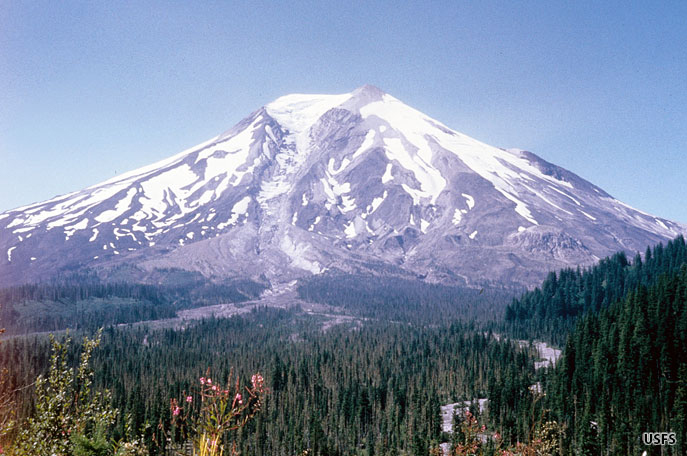 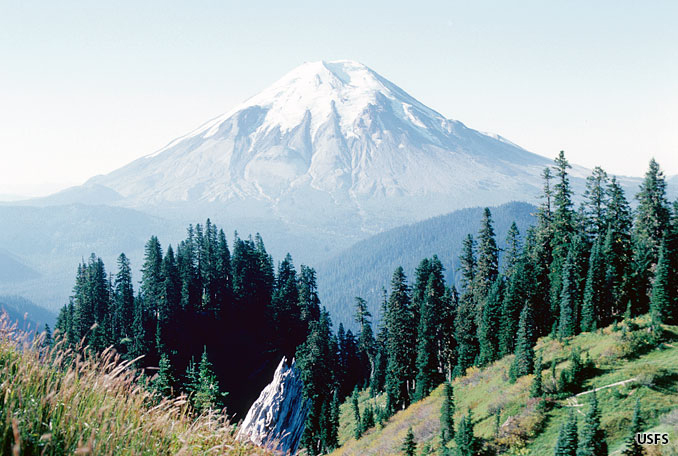 Before the eruption of May 18, 1980, Mount St. Helens' elevation was 2,950 m (9,677 ft). 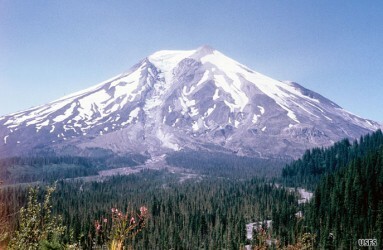 View from the west, Mount Adams in distance. 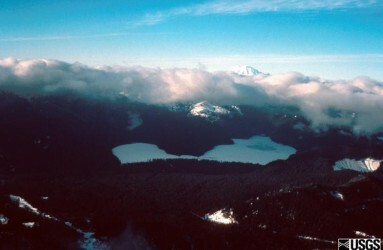 S. Fork Toutle River is valley in center of photo.